Our workhorse printer at Printable Scenery is the Prusa i3. This is our personal account of its performance and quirks. 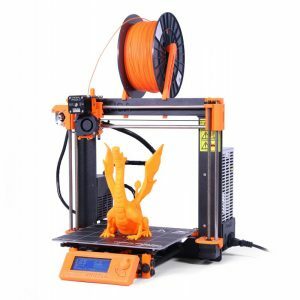 For a printer of its size, the Prusa i3 is well priced. The original model is available as a kit for $599US and the i3 MK2 kit-set (next generation) is $699US. The i3 MK2 is also available pre-built for $899US. This review is based on the original i3. We found the kit to be really nice, taking about one weekend to assemble. The instructions were clear and easy to follow. It does however expect you to have some grasp on the basics of kit building; assuming as a given you have some experience with basic DIY (wires, etc). 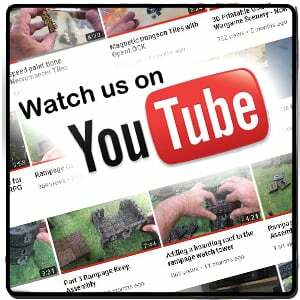 We have yet to do another kit build that we can compare the experience to, however it was easier than some Meccano kits that I put together as a child. If you are a complete novice it might be worth it to just purchase the printer pre-built (so that if things go wrong, it will not be your fault). If you’re the average consumer of 3D printers (aka a technophile between 20-50) you should be fine. You will also gain the benefit of understanding how the technology works. Of the printers we have tried in the studio, the Prusa i3 is one of the fastest, with phenomenal quality. We run our printers at a lower resolution than Prusa recommends (being only 2mm later height rather than 1mm) but the quality of the prints is still brilliant. On some miniatures you can see some striations, but for the majority we have removed them straight from the printer and painted with no tidying required. As stated previously the speed at which it prints means that we can put multiple large prints on per day, saving us a lot of hassle here in the studio. We also found that in terms of printer accuracy, the Prusa i3 beat some of the high-end printers here at our studio. This printer won’t win a beauty award. The Prusa i3 is a functional printer with no extra framing or anything to try to smooth out any of the harsh lines. It’s a machine with as few moving parts as possible, making it quite a reliable printer. The filament feed is located directly above the extruder. This increases the size of the machine somewhat but also means that there are fewer cables in the extruder’s path. We did have some complaints about the lack of an auto-correcting print bed and a relatively small print volume of 8000cm3 (20cm x 20cm x 20cm). These issues have been solved in the MK2 (the volume has increased to 10500cm3 (25cm x 21cm x 20cm)). We have only ever had one breakdown with our Prusas, when a filament roll tangled and jammed up the extruder. That was not really the printer’s fault, and it has been fine since. The Prusa i3 is a good printer, there’s no way around that. It’s not flashy but it is definitely functional. It isn’t the cheapest printer on the market, but at the price they are asking it is probably the best printer in the world. It has excellent results and a relatively quick print time. It’s well worth it to invest in this printer as it is very low hassle. However, the auto-leveling feature alongside the larger print bed adds so much value to the MK2 printer it really shouldn’t be overlooked. With the larger print bed you will be able to print all of our models and scenery in their full glory. This means you won’t need to cut them up into smaller pieces to then stick together. 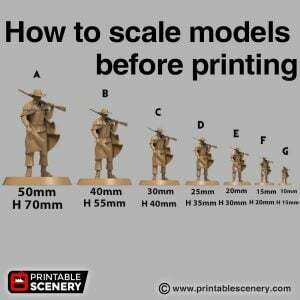 All around a great printer, and definitely one we will be using for a long time here at Printable Scenery. We hope to bring your more of these printer reviews soon.